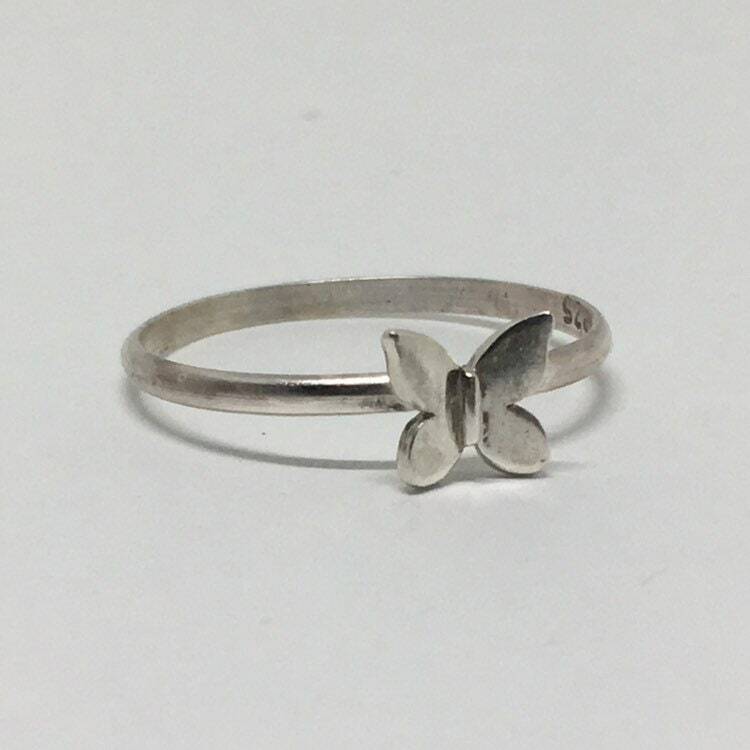 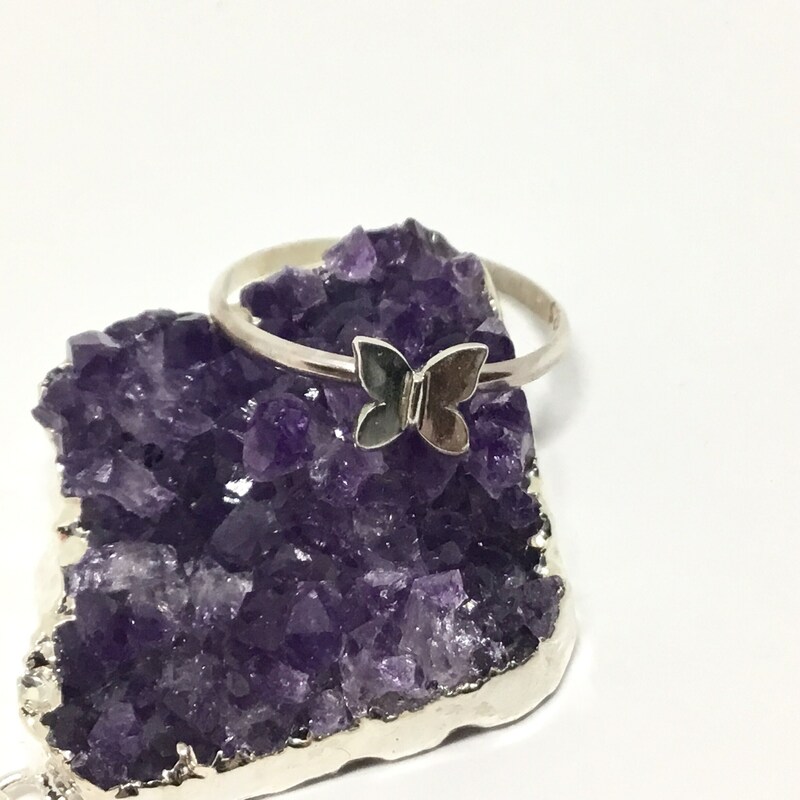 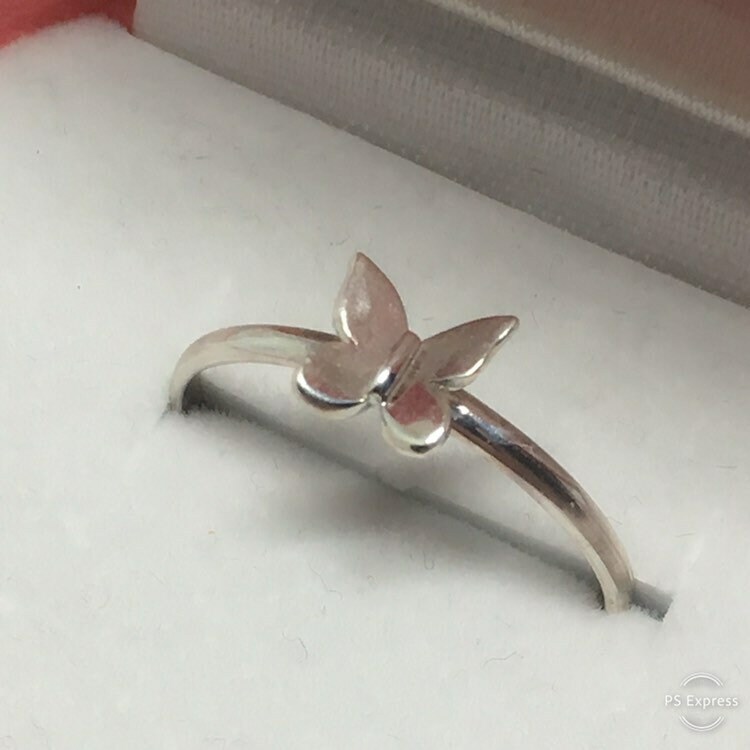 This is a sweet little sterling silver Butterfly ring. 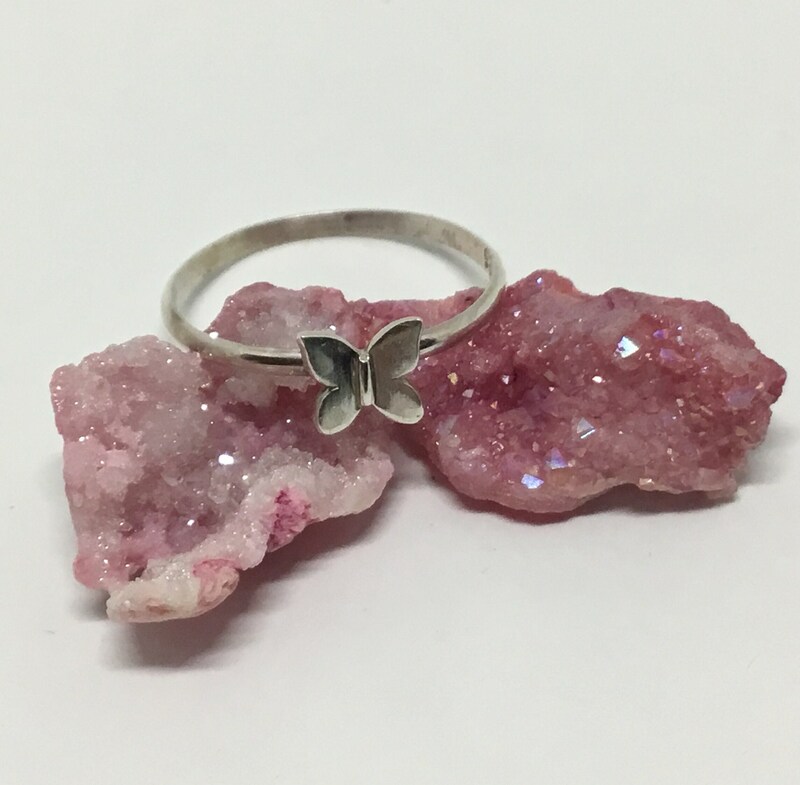 Made right here in our Ohio studio. 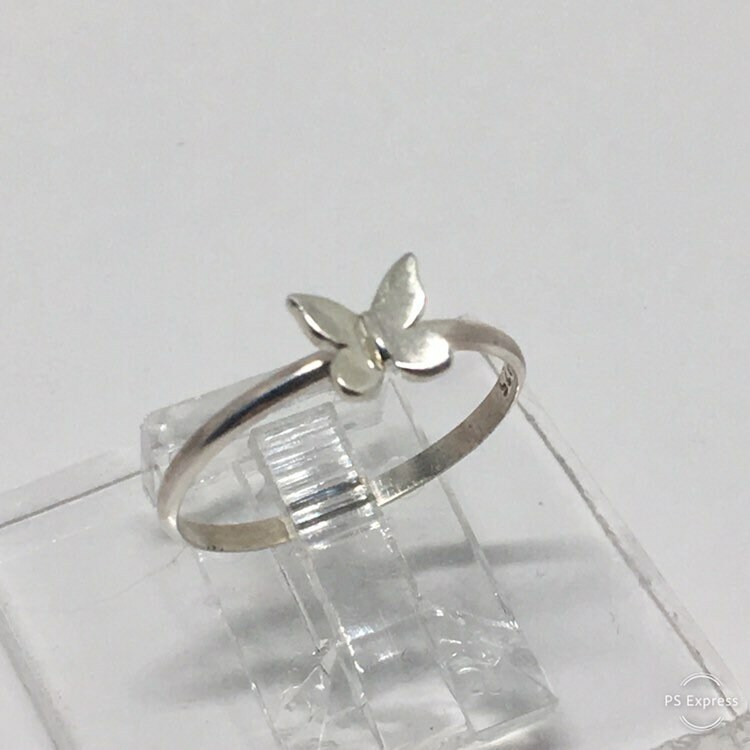 The ring comes in different sizes and features a sterling silver ring and sterling silver butterfly. 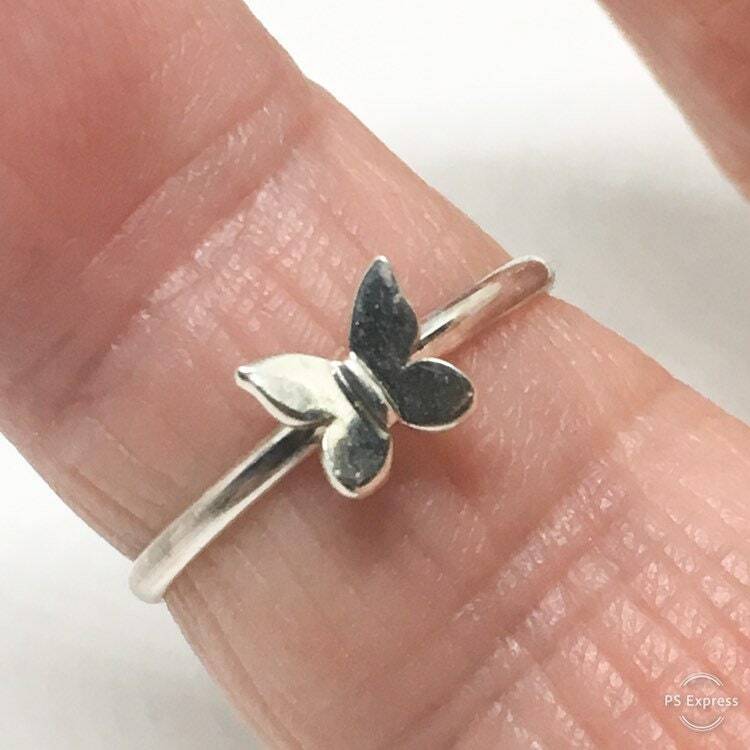 The little Butterfly measures 6.5x6.5mm as is about the size of a pencil eraser.